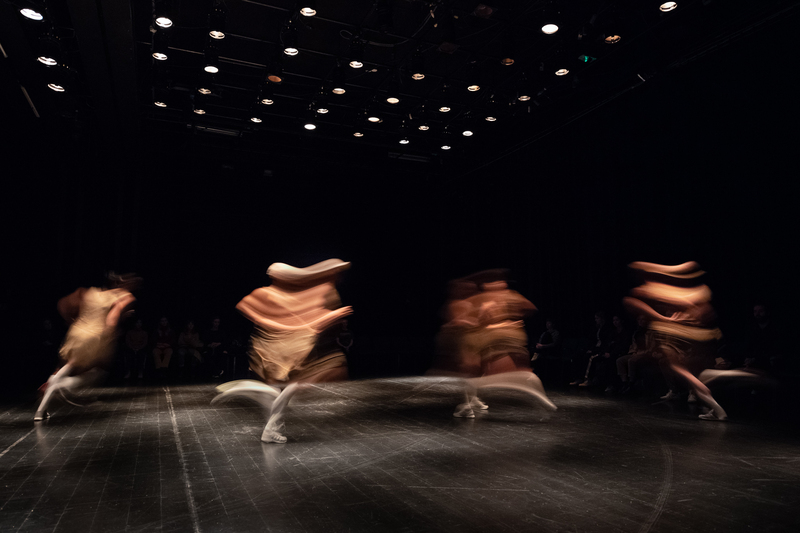 Deep Field will be a performance for five dancers. 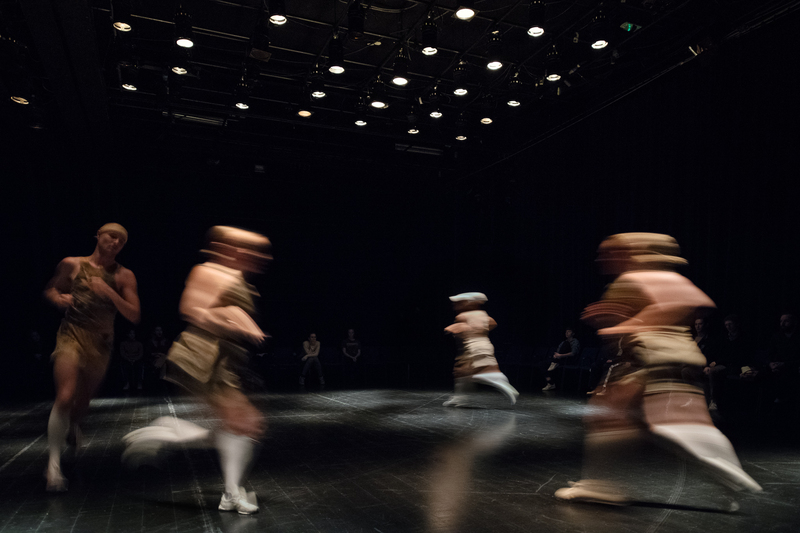 It centers around running, and its affective qualities, both on behalf of the performers and the spectactors. Jenny Hval and Lasse Marhaug will compose the music. Amongst runners, the much sought-after Runners´high denotes the affective state of euphoria where endorphins are released into the body. Endorphins act a lot like their medically engineered counterpart, morphine. They serve as a painkiller, and have through evolution helped humans survive through providing extra stamina for instance when chasing down animals. Endorphins are produced in the pre-frontal and limbic regions of the brain, which also light up in response to emotions like love. 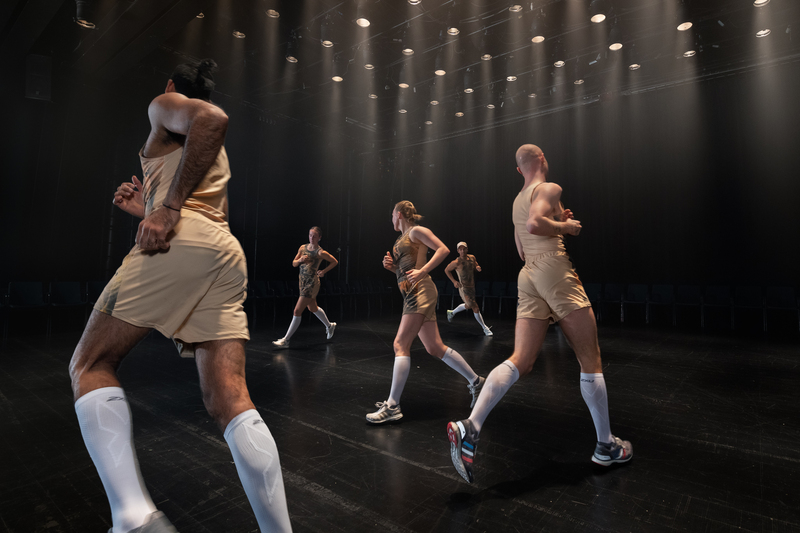 With Deep Field, I´m curious to investigate how to produce this love-like euphoria amongst the running performers, and to what degree it can be contagious on the audience. This is based on ideas of kinesthetic transference; that one as a body can experience the movement of another body empathically through watching, feeling and hearing its presence space. The affective qualities of running will also be approached through compositional strategies inspired by hypnosis and trance-inducing rituals. 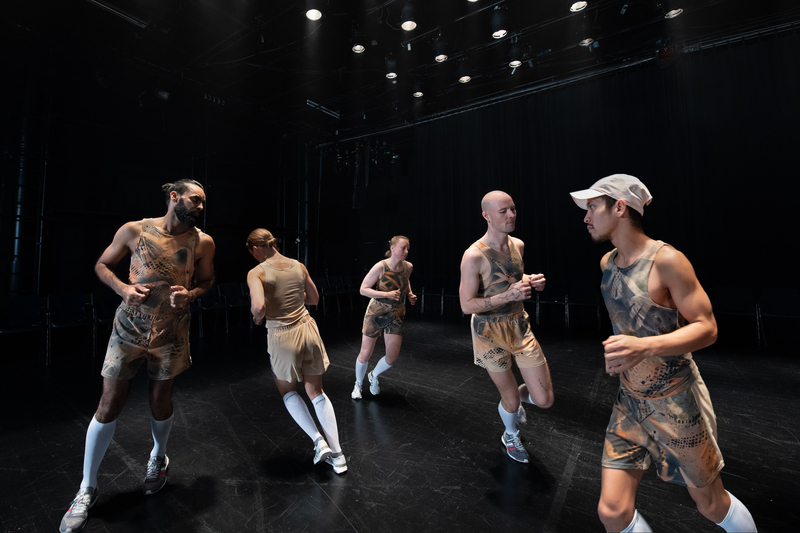 The dancers will run in a variety of slowly evolving patterns and formations that draw the audience in and ideally produce altered states and/or trance states. A trance state is usually seen as a state of mind being caused by cognitive loops where a cognitive object (thoughts, images, movement, sounds, intentional actions) repeats long enough to result in altered cognitive functions. Here, the repetition of pulse, movement and patterns in space are central to the trance induction. Deep Field marks the end of my practice-based PhD at the Oslo National Academy of the Arts. Within my PhD-project “Affective choreographies”, I have produced and toured a number of works where various methodical approaches have been explored. Common to the works have been the notion of affect understood as something, which produces an altered states of being. Consciousness and the idea of the self are much-debated topics in Western philosophy. Hence, there is little agreement on what exactly constitutes an altered state. The human sensorium limits our access to the objective world (we can only experience what our sensorium and brain capacity allows us to experience), but attempts to describe the relation between human consciousness and extra mental reality have created controversies. One can still identify two dominating views on altered states. Within constructivism, they are seens as something produced by the subject herself through (chemical) changes of brain patterns. Shamanism and mystical discourses, however, claim that altered states give us access to something essential or transpersonal; that we can catch glimpses of hidden facets of reality. Either or, a common way to experience altered states is through psychedelic drugs (although the Runners´ high probably poses less risk). Psychedelic drugs have been used spiritually, therapeutically and recreationally throuhg the history if mankind. But as a consequence of the last 50 years´ prohibition of these, the scientific research on how they work has been limited. Supporters of psychedelic drugs question how this prohibition has coincided with what they see as a gradual suppression of cognitive freedom through brainwashing that keeps us focused on shopping, finance and warfare. It is of course tempting to reject these theories as drug-induced paranioa. However, it is highly problematic that economic progress that compromises nature and humanity, is what constitutes “development” in the Western world. We need new, sustainable models to organize society and ourselves in order to continue our existense. With “Affective choreographies”, my aim is to produce the potential for new experiences, thoughts and ideas to occur amongst the audience. This founded in a belief in art as a motor for change, through taking the role as “utterly useless” in a society where most other things have a given and known purpose. When confronted with something that doesn´t perform as expected or that resists classification we have to look for new approaches, and in these moments of liminality there is a potential for the unpredictable and unforeseen to occur. This might be a small contribution to the above-mentioned challenges; however, I think art is a highly relevant in prompting new thinking and doing.